We will make sure that the engine oil that is put in the car is of the grade that is mentioned in the car’s manual. When we change the oil, we as a rule check the other fluid levels also. These checks include the brake fluid level, anti freeze coolant, windscreen wash and power steering fluid. We will also check the battery condition, lights, windscreen wipers, exhaust emissions, tyre tread and pressure. We follow an industry set 32 point inspection sheet. It includes oil and filter change with the correct specified grade of oil that the manufacturers recommend. The inspection sheet is supplied to the customer to show what work has been carried out. Oil Change — We’ll change your oil and filter, using the proper oil and filter specified by your car’s manufacturer (there’s no one oil that’s right for every car.) And remember, an oil change is the single most important piece of preventive maintenance you can do to keep your engine running smoothly for years to come. Check front suspension components — ball joints, tie rods, and bushings for tightness and wear. If ball joints wear too much, not only will your car be out of alignment, but ball joints or tire rods can break, leaving you stranded. Check shocks. 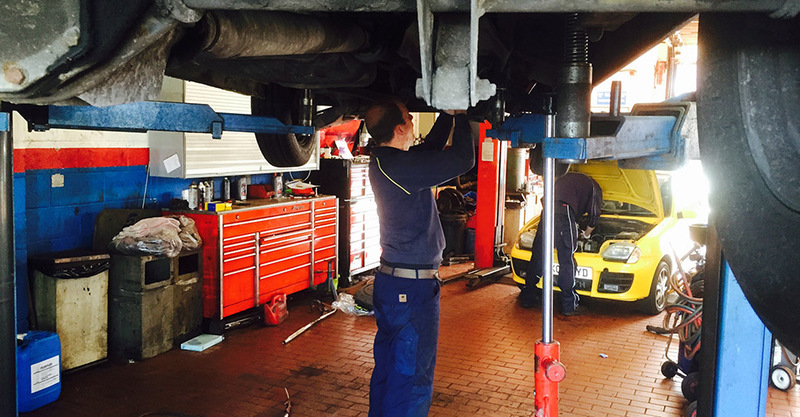 Chances are your shock absorbers have taken a beating this winter. In the short run your car won’t ride or handle properly. But it’s a bigger safety issue if your car doesn’t handle correctly during a quick emergency maneuver, like swerving to avoid a bicycle on a summer day, worn shocks could make you lose control of the car. Our experts will check your alignment by test driving your vehicle and inspecting your tires for uneven wear. Check for leaks — engine oil, power steering, coolant, differential, brake fluid, fuel, etc. Check brakes for wear, sticky calipers, rusty rotors, brake pedal feel and stopping power, and stopping straight. Such problems can be dangerous, and lower gas mileage significantly. You might not even notice them, until it’s too late. Check condition and levels of fluids including: brake, oil, power steering, coolant, differential, transmission, etc. Check and load test battery and check connections. A harsh winter can push a battery to the end of its life cycle, leaving you stranded when you least expect it. Check all belts and pulleys. During the winter, your engine’s extreme heating and cooling cycles can damage rubber belts and pulleys. A broken or slipping belt can leave you stranded at an inopportune time. Check for “Check engine light” codes. A bad sensor signal can lead to an expensive repair if it isn’t addressed quickly. You must get a full service done after every 12 months or after 12000 miles. This services will consist of everything mentioned in the oil and interim service and in addition to this, the following work will be carried out.In addition to this the following work is also done. 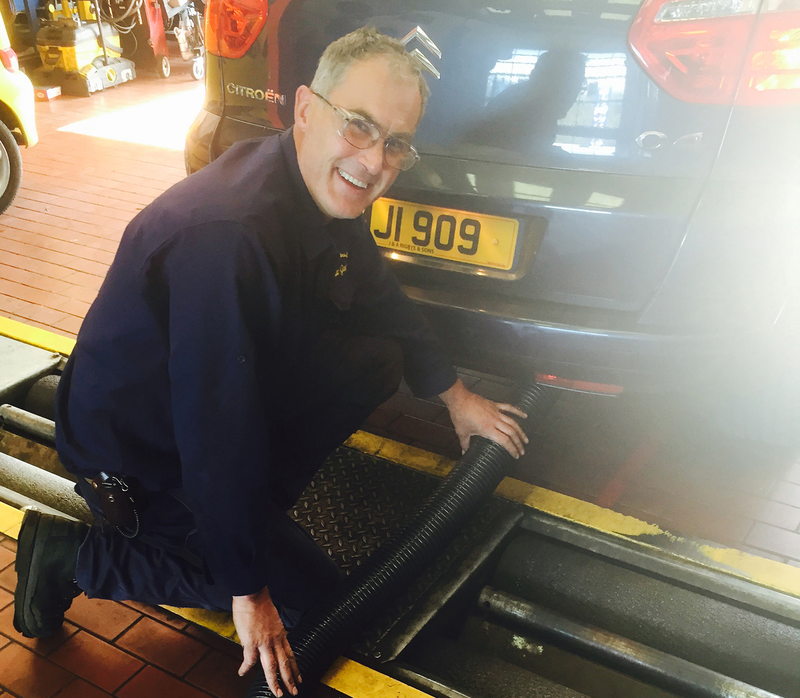 The wheel alignment test, wheel bearing check, belt check and brake fluid condition is checked. In the case of a diesel vehicle, the fuel filter is replaced. In the case of a petrol engine, the spark plugs may be replaced. In addition, the air filter is replaced and the wheels are balanced. This is the work that you can expect our service centre to do depending on the type of service that you are getting done. Older cars require more frequent service than new cars. The parts replaced in a service will always conform to the car manufacturer’s recommendation. Neglecting getting the car serviced on a regular basis is going to reduce the life span of your car. The 52 point check. This check does not need to be in boxes as current.